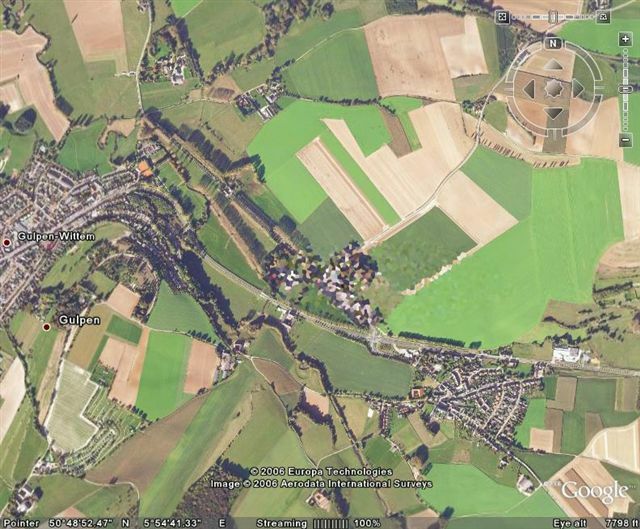 A small village 'Wittem' in South Limburg made the front pages this morning because of Google Earth. It seems google earth were informed by the Dutch Ministry of Defense that Wittem is an area of national security and therefore a terroism target. A young resident of Wittem made the discovery when he was trying to show his Father the tiny village on his computer. 'Aerosat' is the company responsible for adding the blocks to blur the visibility of the satellite imagery. Seems that there was a miscommunication between the Minstry of Defence and the company as to the goings on in Wittem. They have promised Wittem will soon be restored to the map.